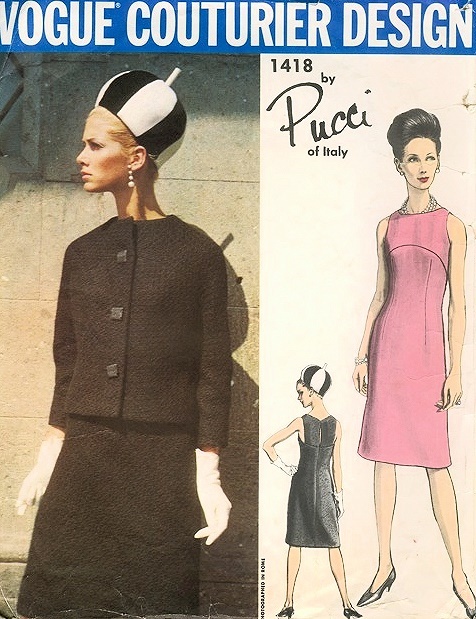 Vogue Couturier Design 1418; 1960s; Pucci of Italy - Dress and Jacket. Slightly shaped jacket has kimono sleeves. 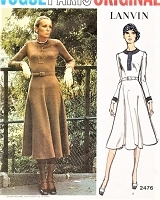 Narrow, sleeveless dress is semi-fitted and has high, curved yoke. 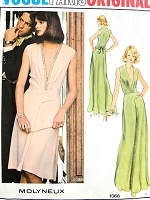 Deep slash detail at back of neckline.